Holland America-Princess’ Denali Transportation Division is based at the Denali Princess Wilderness Lodge and McKinley Chalet properties, located north of the entrance to Denali National Park on the banks of the Nenana River. 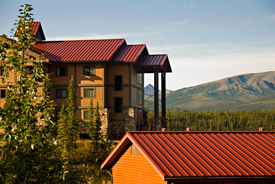 The lodge is about a two hour drive from Fairbanks or four hour drive from Anchorage. Denali National Park is a six million acre wilderness that can be explored on bus tours, shuttles or on foot. 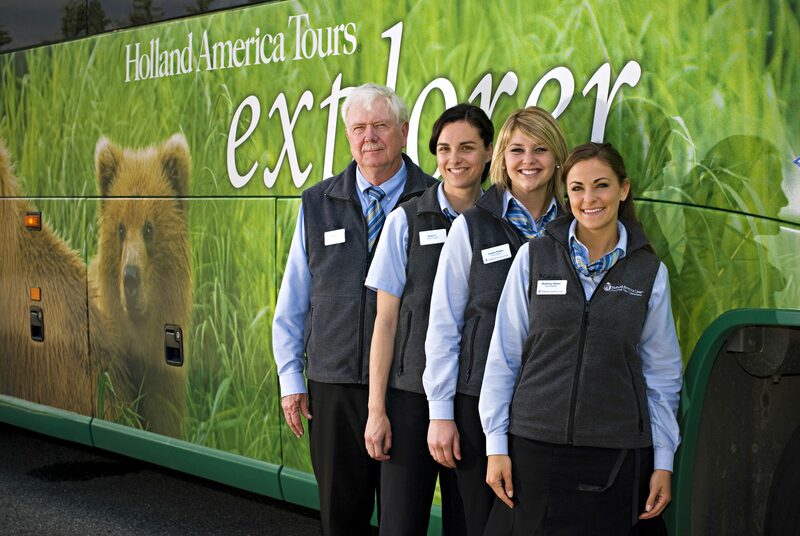 Holland America-Princess offers courtesy shuttles to the National Park Entrance as well as shuttles to popular tours like flight seeing, horseback riding, and golfing. Dormitory living: This typically includes shared rooms with public bathrooms. Some rooms include private bathrooms while others have bathrooms available on each floor. This is a smoke free environment! RV Sites: RV sites are not available at the employee housing location. RV sites are available in the area at the nearby McKinley RV Park. Full hook-ups are available. Local Transportation: Employee shuttles run between the hotels in the Canyon and employee housing in Healy throughout the day. A weekly employee shuttle to Fairbanks is also available. Why Work for Denali Transportation? Upon successful completion of the terms of the employment agreement, an attractive discounted travel program may be available including cruises with Princess Cruises, Holland America Line and Seabourn. Land excursions like fly fishing, wagon rides, and river rafting are available throughout the season at a discounted price. In Fairbanks (on a pre-arranged date), you will be picked up by a shuttle from Denali. Speak with your hiring manager for more information.